This post is way too late in the making but I had to share with you some new goodies from one of my favorite brands Sugarpill. 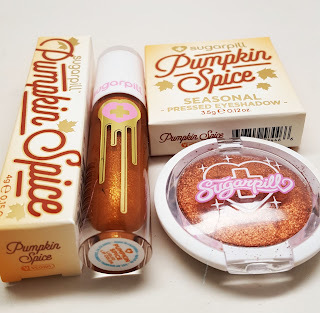 They just released a new seasonal makeup duo...any fans of Pumpkin Spice in the house? Check it out! 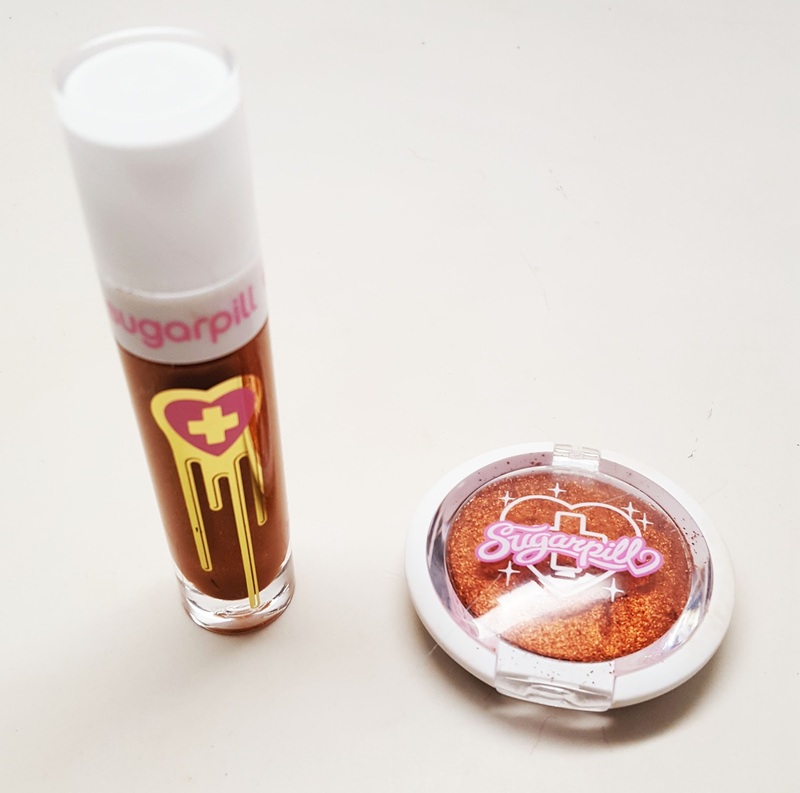 First up is the Pumpkin Spice liquid lip color $18. It is described as a pumpkin spice scented rustic copper pearl with warm golden reflects. The formula is mousse like, non-drying and long lasting. This is such a unique, copper color. I think it would look absolutely amazing with a rust paired eye. Next we have the Pumpkin Spiced Pressed Eyeshadow. The shadow is described as a rustic copper pearl with sparkling golden reflects. I wish you all could feel the texture of this eyeshadow in person. It is such a rich, velvety almost cream texture. 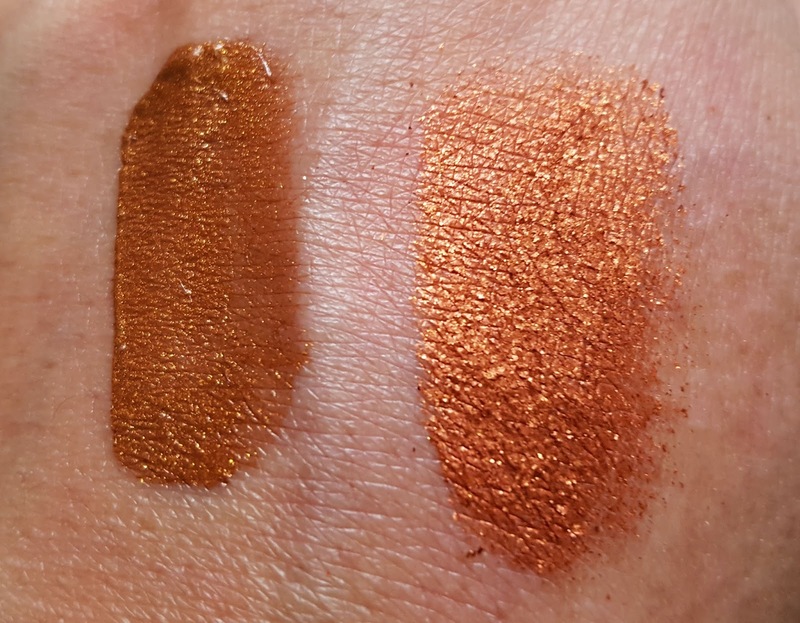 I love the chunky metallic bits...it's so pigmented and just gorgeous. Check out the swatches...swatched dry without base. Aren't they so rich and amazing? Stay tuned for tomorrow's post where I feature this gorgeous eyeshadow.